We provide the tools you need to manage your small business. 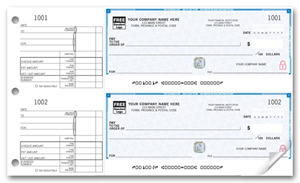 Our business forms & cheques will suit all your business needs. 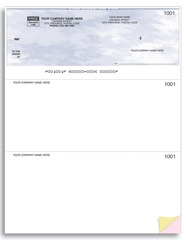 We provide secure business cheques specialy designed for Canadian companies and compatible with major banks. The holiday season offers a great opportunity to promote your business and send warm wishes with holiday cards & 2019 calendars. Having been on the U.S. market since 2003, Smart Resolution is now available in Canada. Offering custom business forms, cheques, envelopes, labels and more, we strive to bring you custom printing solutions that are complete and affordable. 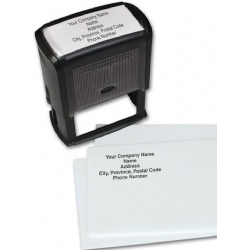 We offer custom printed forms as well as forms using your own design. Your own design business forms can be printed using two different formats. One can only offer up to 3 ink colours, the other offers you endless colour possibilities. That printing process is called full colour printing and provides products such as brochures, rack cards, postcards and more. All our products can be ordered online, as we try to offer a user-friendly experience to our customers. We want you to be able to order printing online, easily. We want to give small businesses the opportunity to have complete solutions for their printing projects, without the cost or headache of starting a new project. Custom printed products will give you the option to upload your logo and fill in your information directly from the checkout, while products that you designed yourself will let you upload your file before you order. For products with your own design, you will need to obtain a quote based on the paper size, ink colours and options available for that product. We do offer online quotes so you can get an idea of the price before you design and perhaps modify your design projects based on the price of the options. We hope you find our website as complete and easy to navigate as we try to make it pleasant and practical.